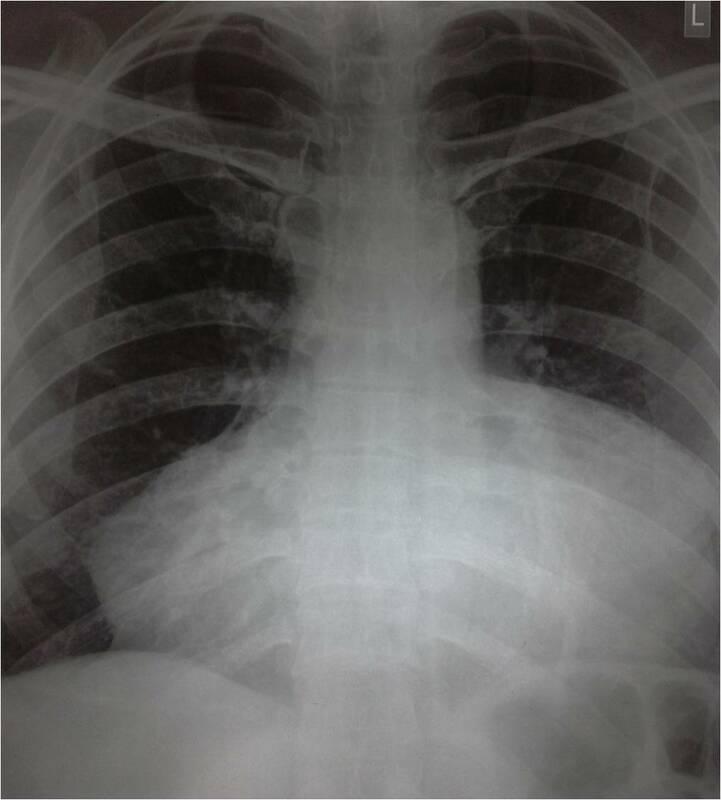 Q: 54 year old male presented to us with low grade fever for 1 month associated with gradually worseningdyspnea along with orthopnea and PND. There is also H/O marked weight loss. What is your radiological diagnosis? Post your answer as comment. 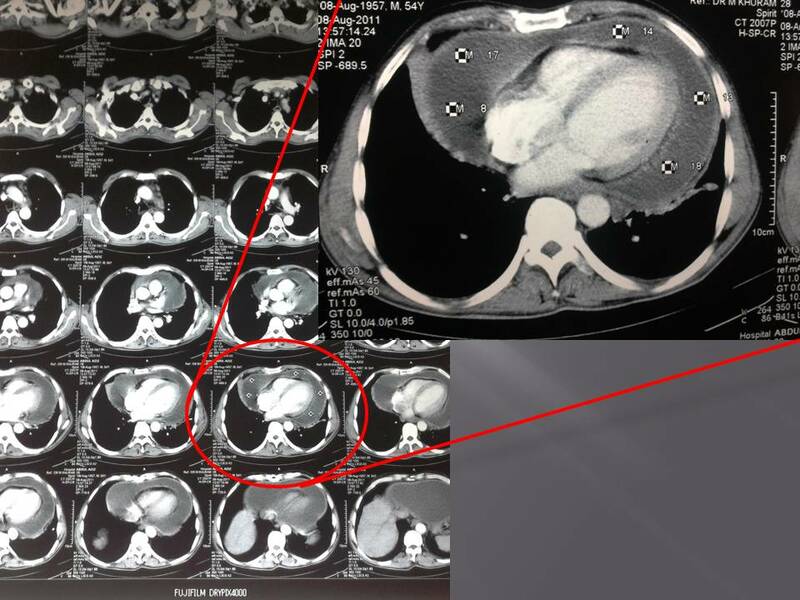 The image below is the CT chest images of the same patient? Would u like to change your radiological diagnosis? What other clinical signs you would be looking for? This patient is having massive pericardial effusion. One should immediately look for pulsusparadoxicus, a raised JVP and blood pressure to rule out cardiac temponade. This patient was not having temponde also confirmed on echocardiography. Most common cause in Pakistan is still tuberculosis. Patient was put on ATT and steroids and is doing good Alhamdullilah. ¨In case of cardiac temponade immediate pericardiocentesis should be done and if there is a possibility of recurrent effusions, a pigtail catheter is usually placed. This is the pic of another patient with recurrent pericardial effusion and a pigtail catheter is in place.